A sense of spaciousness greets you when you enter the lusciously landscaped grounds of Villa Orquidea through either of the two gates in the secure perimeter wall. It’s a very large lot for a residential property – over 1500 sq. mtr. 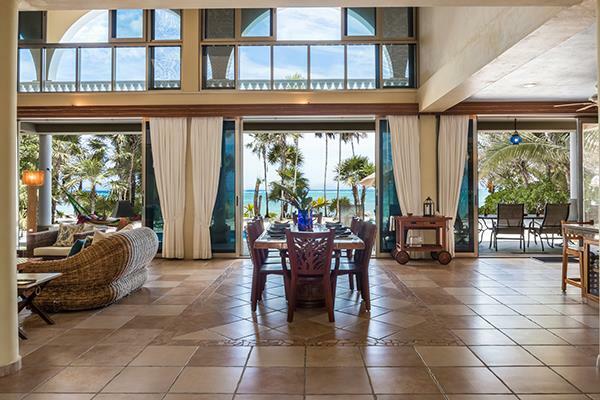 (16,500 ft²) and a huge 30 meters of beach frontage (98 ft.). 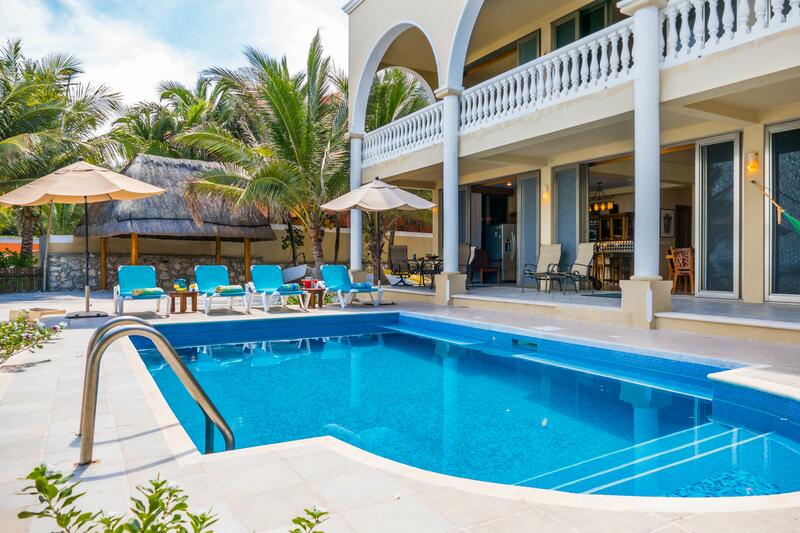 Villa Orquidea is located in Tankah Bay just 6 miles north of Tulum and 80 miles South of Cancun. The international Airport is less that a 2-hour drive south. But that short time invested in a drive will be forgotten because you will want to stay for weeks! Kayaking, snorkeling and swimming are obvious treats and a world famous cenote (jungle sink hole with crystal clear water) is a short walk away. Several restaurants are nearby and a new hotel not much further is ready to receive your visitors that are best kept at a distance. And only a 15 minutes drive by car is the historic Mayan ruins of Tulum and any more delightful restaurants, shops and another stunning beach. Villa Orquidea is the perfect place to relax and enjoy luxurious accommodations in a private setting with plenty of elbowroom. The 3 master suites in the main house all have wonderful views of the Caribbean Sea and Tankah Bay. 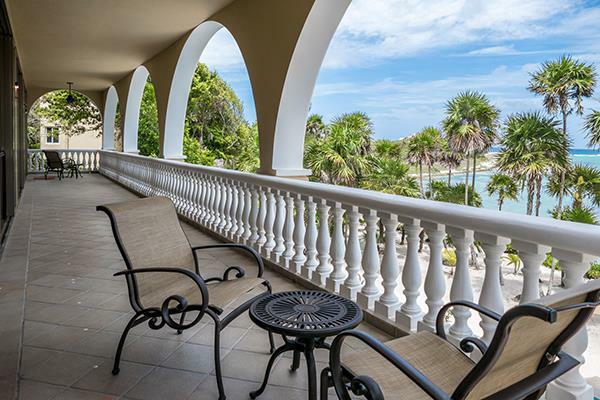 Cool Caribbean breezes will comfort you everywhere in this Spanish Colonial villa and with unobstructed sea views from nearly every room in the house, you will feel like you have arrived in paradise. A/C in all bedrooms of the main house and casita are there if needed. The thoughtful placement of the home exactly on the beach where it is most dramatic allows the two-story casita to also have a beach view. That speaks volumes about the attention to detail evident throughout the property. As you enter through the beautiful wrought iron entrance gate and walk up the handicap accessible entrance to the house you are surrounded by a tropical landscape that feels inviting and exotic. The fascination continues when you walk into the Villa. 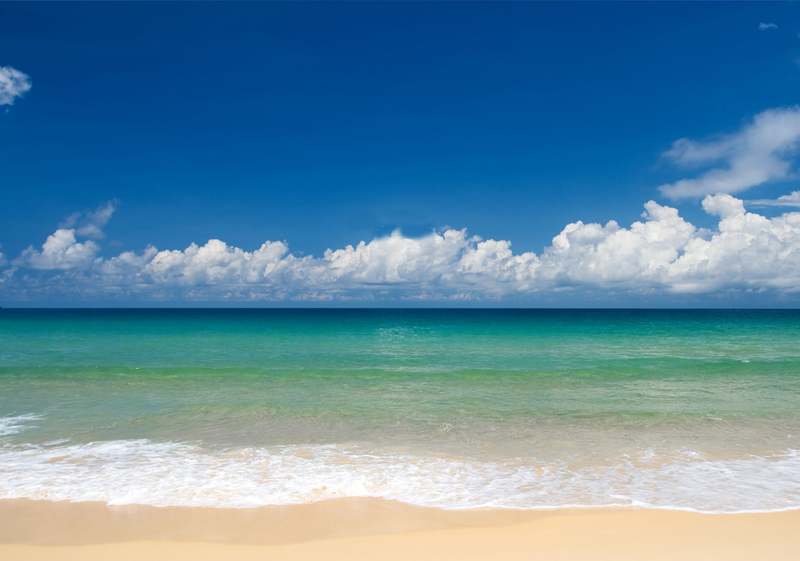 The view of the Caribbean stops you in your tracks. The turquoise blue waters of Tankah are viewed through the two story tall bay windows in the living room. They open on to the veranda and the beautiful swimming pool. An open floor plan allows the living room, dining area, and gourmet kitchen to benefit from the unparalleled views, natural light, and refreshing ocean breezes during the day. At night, each of the 3 Master Suites in the main house offer a cozy retreat from the exciting daytime activities. Each of the bedrooms in the main house is designed with a king-size bed, a modern en-suite bathroom and private access to a pool patio on the beach-level or a seaside terrace on the upper-level. Villa Orquidea is furnished with lovely hardwoods and artistic touches from local artists. The bedrooms are wonderfully decorated with the warm, bright colors of Mexico and the Caribbean and you will find custom mosaics in each of the bathrooms. Step out on the Romeo and Juliet veranda and a panoramic view of the Caribbean Sea invites you to indulge in a celebratory adult beverage. In the main house, there are three luxurious bedrooms. Each bedroom has it’s own en suite bathroom. All three of the bedrooms in the main house have king beds, one of which can be converted to two twin beds. Two of the rooms also have daybeds. The roof terrace offers a look at the beautiful Tankah Bay and Yucatan Jungle from a different perspective. Furnished with a built-in couch and plenty of space for sun loungers, the roof top terrace is above it all providing an excellent and romantic retreat for sun bathing, entertainment, stargazing or sunset watching. The stand alone two story casita has a bedroom suite on each floor. Both have a full kitchen. It's an ideal destination for those that want privacy or a destination when it's time to retire from the festivities in the main house. As part of the casita there is a spacious and well stocked maintenance room and a separate laundry room. Plenty of storage space as well. Not to overlook the addition of a comfortable suite for the very capable staff. Villa Orquidea embodies the dream of a home in paradise. But it’s more than that. It also has spaciousness with attention to detail that is not found in many beach homes due the high cost of beachfront land. the grounds and interior of Villa Orquidea feel big and that adds immeasurably to its appeal and value.